Follow along on this fantastic voyage as Professor Arronax, Ned, and Beth set out to capture a terrifying sea monster--before it captures them. "The year 1866 was signalised by a remarkable incident, a mysterious and inexplicable phenomenon, which doubtless no one has yet forgotten...For some time past, vessels had been met by 'an enormous thing, ' a long object, spindle-shaped, occasionally phosphorescent, and infinitely larger and more rapid in its movements than a whale." --from the book When Professor Aronnax agrees to investigate a series of attacks by a mysterious sea monster, he begins an incredible underwater journey that leads him from Atlantis to the South Pole. Through unforeseen dangers, surprise encounters, and exotic settings, this epic adventure is a tour de force of imagination and narrative grandeur. 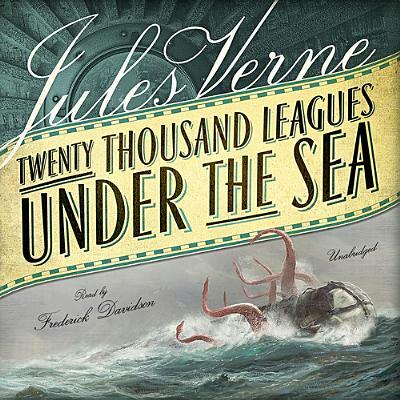 Jules Verne was remarkably successful in foretelling the wonders science held for the future. This, his most famous novel, earned him the title of "Father of Science Fiction.